An 800g medium sliced white bread, baked using flour milled from 100% British Wheat. Suitable for Vegetarians & Vegans. Kosher - KLBD. 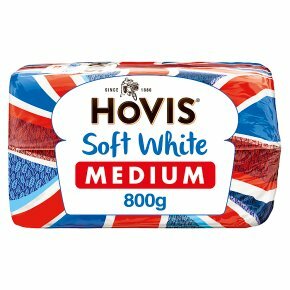 Our Hovis Soft White loaves are specially made for softness so they are just perfect for that bacon sandwich or hot buttered toast.